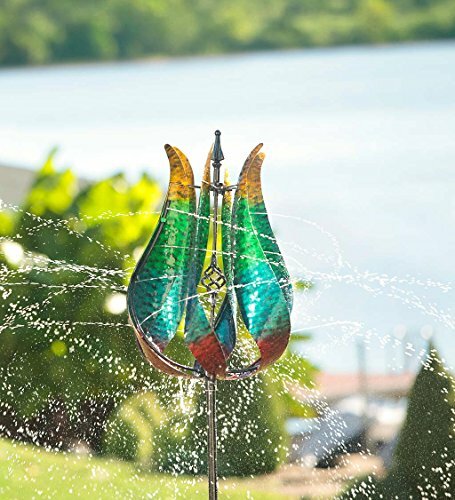 Our Colorful Tulip Water Wind Spinner adds a whole new dimension to outdoor kinetic art: water! 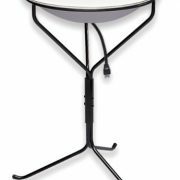 Simply connect a standard garden hose to the fixture at the spinner’s base, and as the metal, tulip-shaped spinner turns, a dazzling swirl of water spins along with it. Adjust the water pressure to get just the right strength of spray, and sit back to watch the show! This colorful spinner does double-duty as a sprinkler for watering your flower bed. 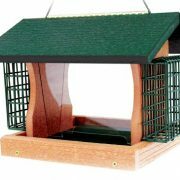 Even with the water turned off, this delightful lawn decoration will put on a show whenever the wind blows and looks just as lovely standing still. Wind & Weather Exclusive Design. Size: 17” dia. x 87”H.